RCA Victor sponsored this detective show with the fine British actor Rex Harrison in the early 1950s on radio. Of course, Rex Harrison went on to further elocutional fame as Dr. Doolittle and many other star roles. Rex Saunders has the classic sidekick Alex (played by Leon Janney) who is along for the action and to ask questions. Alex is a traveling companion and partner in crime...solving, that is. The weekly stories of "intrigue and adventure" are classic tales of thugs and questionable strangers, with Saunder's alert eyes and mind seeing ahead of the perfunctory Alex. These two are civilized and sophisticated, like The Saint. 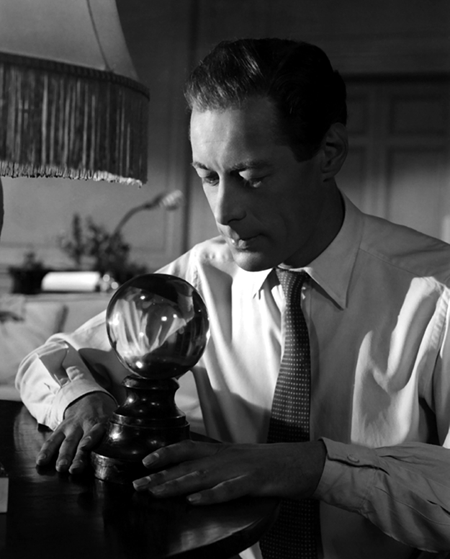 Direction is done throughout by the veteran Himan Brown, best know for his work on Suspense. Edward Adamson stuck to basic stuff in writing these stories, but the characterizations are solid and enjoyable. Amzie Strickland, Barbara Weeks and Jean Ellen are several of the actors featured, and the great Jackson Beck (Cisco Kid, Hop Harrigan, Tom Corbett) is in on some. For espionage and adventure with lone wolfs and spies you should check out the following: The Silent Men, Spy Catcher, Cloak and Dagger, Counterspy - David Harding!, Dangerous Assignment, The Adventures of Frank Race, Harry Lime (The Third Man), Secret Agent K7 Returns, Top Secret, and The Man Called X. Be the first to comment on "Rex Saunders"